From the bestselling author of Jurassic Park, Timeline, and Sphere, comes a deeply personal memoir full of fascinating adventures as he travels everywhere from the Mayan pyramids to Kilimanjaro. 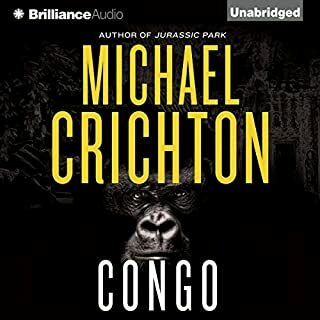 Fueled by a powerful curiosity - and by a need to see, feel, and hear, firsthand and close-up - Michael Crichton's journeys have carried him into worlds diverse and compelling - swimming with mud sharks in Tahiti, tracking wild animals through the jungle of Rwanda. This is a record of those travels - an exhilarating quest across the familiar and exotic frontiers of the outer world, a determined odyssey into the unfathomable, spiritual depths of the inner world. 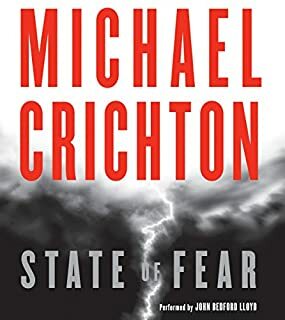 It is an adventure of risk and rejuvenation, terror and wonder, as exciting as Michael Crichton's many masterful and widely heralded works of fiction. 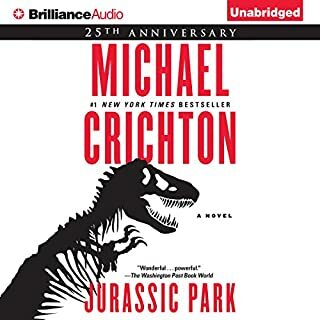 For Michael Crichton, being a Harvard-trained physician, the author of two bestsellers, and a movie director is not enough. It is, he resolves, time to travel. 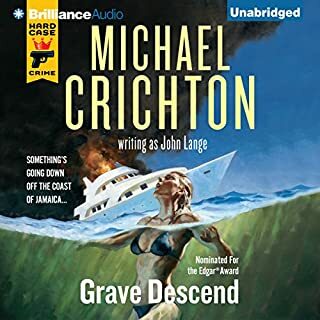 From swimming with sharks in Tahiti to psychic experiences in the American desert, Crichton records his exhilarating quest through the familiar and exotic frontiers of the outer world. 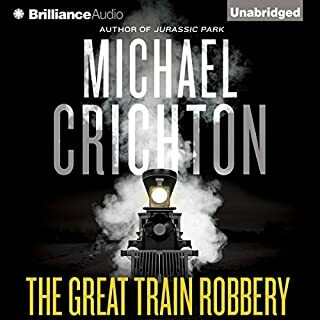 ©1958 Michael Crichton and © 2014 by Taylor Crichton's Family Trust (P)2015 Brilliance Audio, all rights reserved. Grateful acknowledgment is made to Harper & Row Publishers, Inc., for permission to reprint an excerpt from “The Way In” from The Selected Poems of Rainer Maria Rilke. Translated from the German by Robert Bly. © 1981 by Robert Bly. Reprinted by permission of Harper & Row Publishers, Inc. 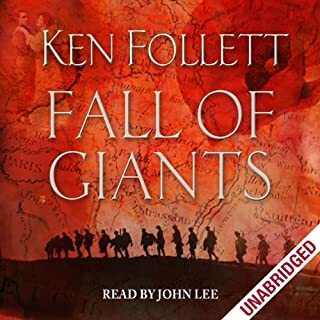 This was one of the best books that I have listened to in a long time. 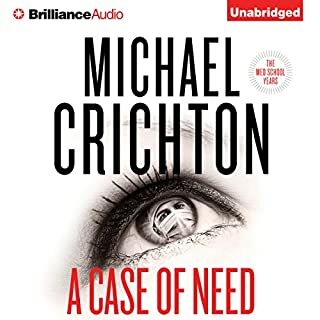 High Five for Michael Crichton for packing so much in 66 years on this planet. Thanks for giving us the opportunity to evolve from your experiences. I highly recommend this book for anyone who has an open heart. 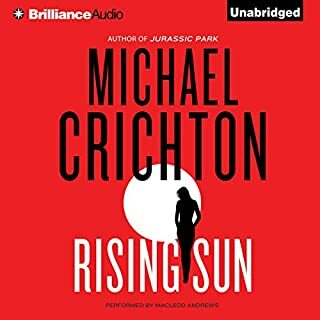 I really enjoy Michael Crichton's fiction - have read or listened to pretty much everything he has put out. 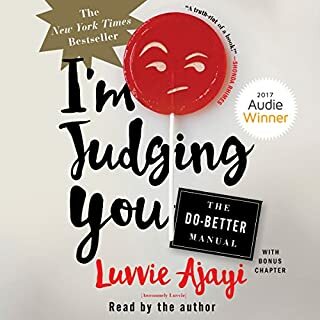 I was pretty excited to listen to this book and I thought the overall performance (narration) was excellent and most of the stories are pretty humorous and entertaining. However, he seems to spend an inordinate amount of time delving into meditation and psychic phenomena which is the reason for the title of this review. I am not trying to insult his beliefs and experiences, which were obviously very real and beneficial to him, but, the way and depth that they are presented in this book seem a little too far out there for my interest. I found myself not wanting to sit through the last 2.5 hours of the audio. 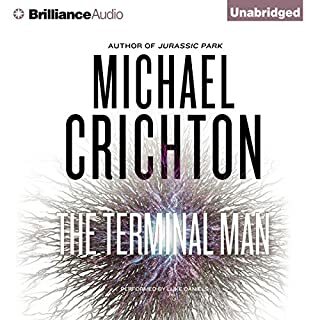 I tried to get back to it several times, and each time I did, I turned it off after 5 minutes saying to myself, "Man, the rest of this book was really entertaining, but he really is way out there now." 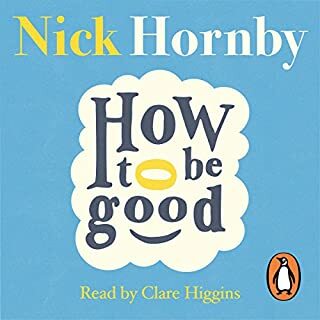 Overall the book was still pretty good - the narrator does a great job and most of the stories are funny, entertaining and insightful. Even the parts on meditation and self reflection. 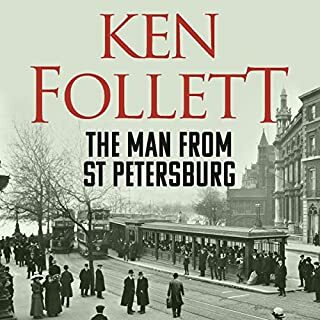 I enjoyed listening to how through his travels-both physical and meta physical he grew to have a better understanding of himself and the world around him. I would still recommend this book, with the caveat that you may just want to skip through some of the more oovy-groovy sections. 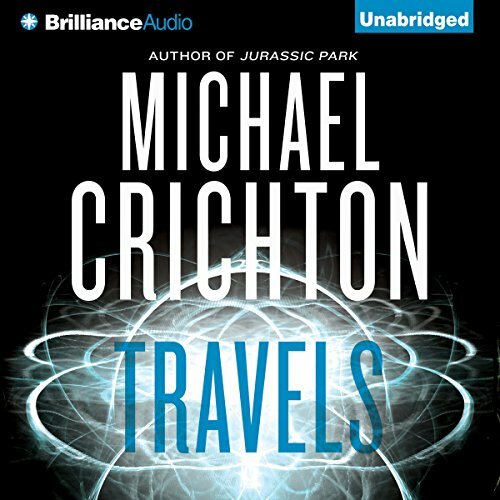 Critchon tells a compelling and interesting story of his vacations and his emotional/mystical retreats. But his life of writing stories and making movies is marginalized to footnotes and one chapter of Great Train Robbery. Even more sad is the story ends in the 1980’s, before Critchon became a household name. This highly narrowed focus is fun for what it is, but what it is is bypassing a lot of Critchon’s life and works. Not at all what I was expecting but had very interesting stories. You for sure need to be a big MC fan to enjoy this. I am so it worked out. The memories and musings of a sharp and enquiring mind and a life rich with experiences. Inspiring and thoughtful. 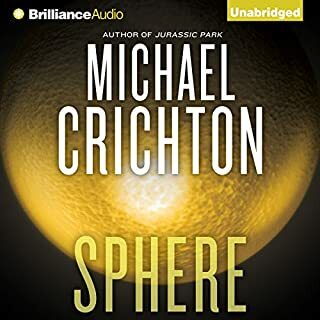 Once he begins going to the psychics, skip to the last chapter to hear is rationale for having an open mind to metaphysical phenomena, then go back if you can stomach it. He admitts to having psychogenic neuropathy in medical school, but to my disappointment, he never retrieves this information to reflect that all these metaphysical experiences are likely psychogenic. 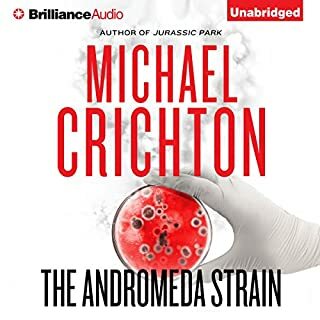 The book does not even remotely resemble Crichton books. The first chapters are OK. 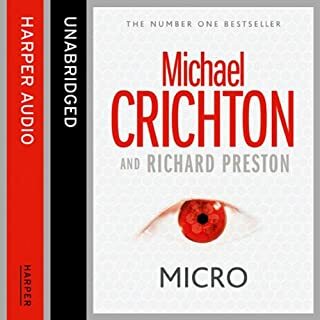 However, it seems that there is a lot more to say about Crichton and it is a pity that Crichton did not say it himself. A very well written explaination of Micheal's experiences to support his beliefs. highly recommended for anyone with an inquiring mind. 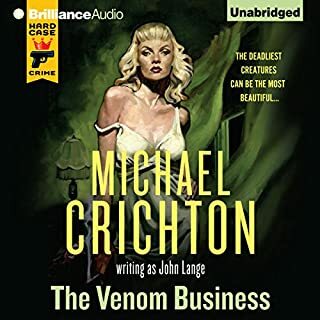 I have always loved this little known memoir by Michael Chrichton, and was looking forward to listening to the audiobook. 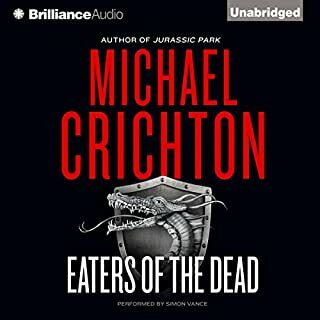 Unfortunately the audiobook was hard for me to enjoy. 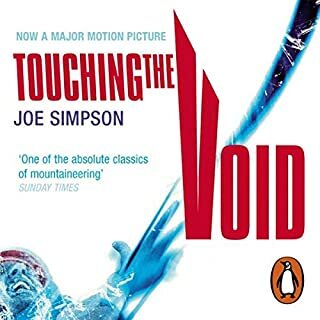 To clarify, the narrator is clearly skilled and seasoned and there was nothing wrong with his performance, but I feel he was a poor choice to narrate this particular book. 'Travels' is about Chrighton's adventures, both physically and spiritually, and he details often extreme adventures such as climbing Kilamanjaro, tracking great apes in Rwanda and scuba diving with sharks. I found the narrator's tone somewhat formal, almost upper crust, which felt at odds to me with the spirit of the memoir. Given the title and description, I was expecting a series of excellent anecdotes about the author's travels. In fact the first part of the book is the story of his medical training which was interesting, the rest of the book was split between some entertaining anecdotes about his travel and experiences and a large number of stories about his exploration of the mystical which were much less interesting and, more importantly, not what I was expecting.